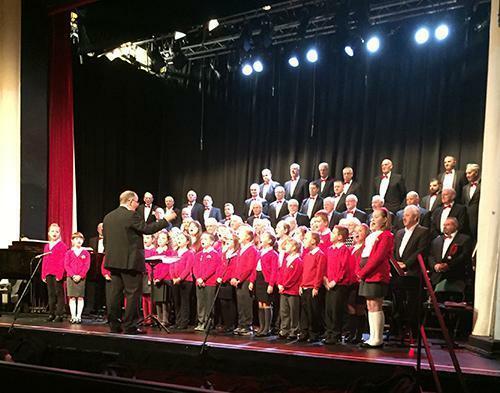 On Friday December 18th our school choir had the great honour to be invited to sing at the Annual Christmas Show of the Cwmbach Male Voice Choir at the Coliseum Theatre Aberdare.What a magnificent success it turned out to be! The children sang beautifully and were the stars of the show -they even had an encore after singing 'O Holy Night' with the choir! 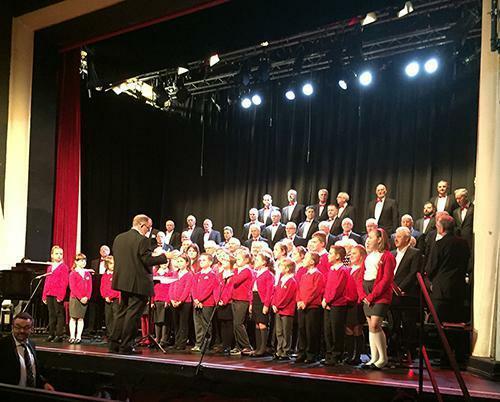 Not many people get the chance to sing in front of hundreds of people with such a prestigious choir and the children excelled themselves both with their singing and their exemplary behaviour during the show. They were a credit to their families and to the school and all staff involved were immensely proud of their performance. The hard work carried out under the guidance of Mr Jones,Mrs Williams and our music teacher Mrs Lewis ensured an outstanding performance -well done to all!